With the rush of Black Friday and Cyber Monday deals just starting to truly quieten down, the UK charts should now start to even out once more. One million physical game sales generated another £32.6 million last week, but which games are sitting at the top of the pile? Well, you probably won't be surprised to hear that FIFA 19 is still leading the charge in first place; sales are down by 39% week-on-week, but that's not enough of a drop to see it lose out. The whole top five is looking almost identical to last week, too, with just one little swap hidden in the mix. 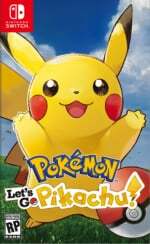 Pokémon: Let's Go, Pikachu! and Let's Go, Eevee! are still performing strongly in the region, with the Pikachu version selling considerably stronger. 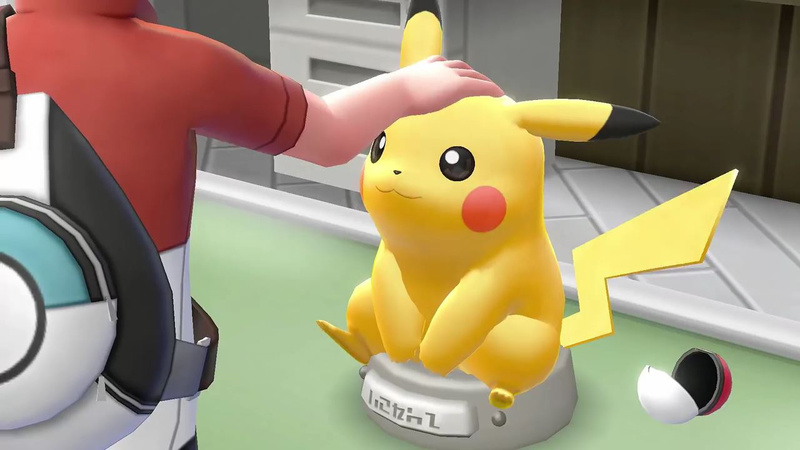 The Pikachu edition is still sitting in eighth place this week, with sales for the two games now tracking higher than what Pokémon X and Y achieved after their first three weeks on sale. Considering the 3DS had a larger install base when those games were released, that's some pretty good going for the new titles. 7. (8) Pokémon: Let's Go, Pikachu! Did you buy any of these chart-topping games this week? Are you surprised by Pokémon: Let's Go's strong start? Let us know down below. Glad to see tham doing so well. FIFA 19 not interested EA Sport Im not huge fan of this. Mario Kart 8D on a system still mostly considered niche in the UK, still in the top 10 round Christmas, a year and a half later. Good work. And outselling poor Eevee. Oh, and has Red Dead finally shuffled GTAV out of the charts? "One million physical game sales generated another £32.6 million last week"
"FIFA 19 is still leading the charge in first place; sales are down by 39% week-on-week"
"with sales for the two games now tracking higher than what Pokémon X and Y achieved after their first three weeks on sale. Considering the 3DS had a larger install base when those games were released"
"over one million physical games were sold in the UK last week generating £32.6 million." "FIFA 19 retains No.1, with a 39 per cent drop in sales week-on-week." "Three weeks in, and Let's Go is now tracking eight per cent ahead of X and Y. Note: Pokémon X and Y was released a year later in the 3DS' lifecycle, so the install base was higher." This site is no better than Filip Miucin, did you even acknowledge where you got your information from? Of course you didn't. Disgraceful! I hope this opens some peoples eyes. There's a word for this, Filip can tell you what it is. And if this site tries to edit the story later, it doesn't change the fact of what you did. Strong showing at this time of year. Be interesting to see how Smash does. Fallout 76 never ever put on Switch is quite disappointed so happen last time was buggy and Unplayable. Lawsuit sued it was failure. Bethesda we need refunds. Fallout 76 nothing found on this Charts. @Captain_EO So you think plagiarism is OK? It's hardly plagiarism just repeating facts fella,if it was a copy of a creative article or review then you would have a point. @johnvboy He shouldn't be passing off these facts and figures as his own work. The ghost who walks, huh? A bit on the nose, right? Maybe an Irish sorta ghost? @Pineapple_Mohawk Bang on the money. He's obviously not enjoying his ban. You know, if Let's Go outperforms the total sales of each mainline series, you can probably bid the mainline series farewell. The public wants what the public wants. Oh stop whining. Judging by your Comments history, it is literally all you ever do. Keeping your eye on the 5th biggest market in gaming isn’t the same as the Philippines is it? You’re better than that. The Ghost Who Walks comment history is literally almost nothing but whining, negative comments or claiming every article published on here is either click bait or old news by a day. You'd think that if one hates a website so much that constantly gives him old news, one would stop contributing to it? I put TheGhostWhoWalks on my ignore list quite a while ago. I highly recommend it! I believe the only reason it is doing well is because a lot of the switch user base has nostalgia for Nintendo and Pokemon. If we could see game play hours compared to all of the other pokemon games it would be a lot lower. The game ends very quickly and has very little value as far as replay-ability or even end game content. I gave it a very generous chance, spent a lot of extra time filling my dex and what not and still beat the game in under 30 hours. TL/DR If you are an actual Pokemon fan and still on the fence I would hold on and wait for a real Pokemon game. You are missing the point,it's not their facts and figures either. @TheGhostWhoWalks I think plagiarism is a serious allegation and you need to wind your neck in. @electrolite77 I think he means the weekly results, not overall. I would prefer of they included actual figures with the weekly results, like in Japan, or otherwise make them monthly like the US. @TheGhostWhoWalks I fully agree with the post that has the number 4. Nothing wrong with that. It wasn't meant to be an offensive statement. But it's no secret sales in the Philipines are rather inconsequential to the larger picture. As is the case for practically all individual countries. I just gave one as an example. 5th biggest country maybe. I dont think its worthwhile to watch recurring sales even in the 1st biggest country, much less the 5th. Regions are what I watch. The bigger picture. Not countries. The JP region (which includes some countries outside of Japan), the NA region and the EU region. Maybe US since it's the largest (and maybe Japan since it is the majority of that region) but, aside from that no, I dont think its worth watching. Might as well watch Mexico sales or France. Nothing against those countries, but it's too insignificant to the larger picture, and it's the bigger picture that matters. Good to see Read Dead and Forza doing well. Basically Nintendo saving the day for Switch as always. With More Mobile Games and Old rehash being announced for 2019 - not changing any time soon. Looks like Darksiders 3 is the biggest bomba of the year. Could barely sqeak past 5000 retail copies sold during its launch. Great hold for Pokemon Let's Go. Even FIFA is doing pretty good on Switch - only Pokemon Let's Go, Mario Kart 8 DX, and Super Mario Party sold more last week. @flapjack-ashley Yeah I don't know what this site's policy is on backup accounts, but basically he posts the same crap word for word on GoNintendo under his old name. "I clicked on the link and unfortunately was redirected to that horrible site, NintendoDeath. But lo and behold as I read the comments for old times sake, I come across this gem. Brilliant. Absolutely brilliant. I love that that person exposed that site for the charlatans they are. They ripped off another sites work. Classic NintendoDeath. That's made my day. This site deserves the credit." Seriously, he is pretending to be two separate people just to insult NL elsewhere. I can't even fathom that level of obsession. @PanurgeJr I know, tell me about it! Posting bile on here with a sock account then patting himself on the back over there! You couldn't make it up... You'll probably get reported for invading privacy now, even though the comments are in the public domain. @WiltonRoots The best part about those comments is that, thanks to the ban on his primary account, they're uneditable now. He can't stealth-edit them to "prove" anybody is lying anymore. Hi, sligeach_eire. Don't think we don't know it's you referencing your own comment on GoNintendo. That website made a big mistake unbanning you, but one I suspect they will eventually correct. Normally I would agree but that particular commenter is insufferable! So Super Smash Bros Ultimate releases this week. Super Smash Bros Ultimate: ??? I'm expecting Smash Bros Ultimate to break 100,000 copies sold at launch, though I'm not sure it will be able to overtake Pokemon Let's Go's launch of ~120,000 copies sold. The Switch isn't a commercial failure (unlike the Wii U), and it has a core-focused audience (unlike the Wii) that is actively buying into a lot of software (unlike the 3DS), so while it may not exceed Pokemon in the UK, it should comfortably have the biggest launch in the franchise's history.